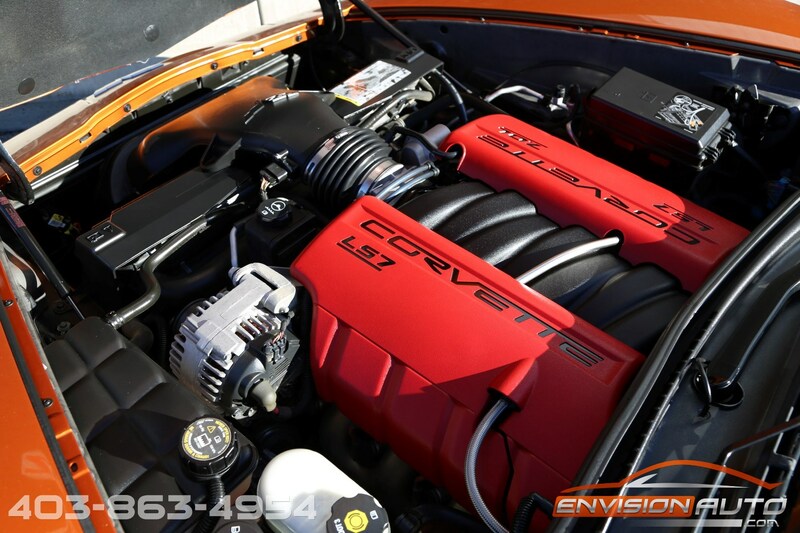 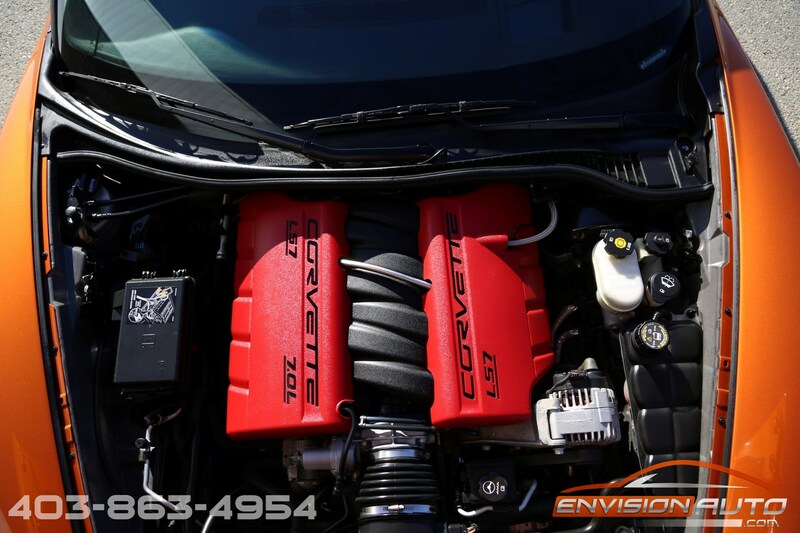 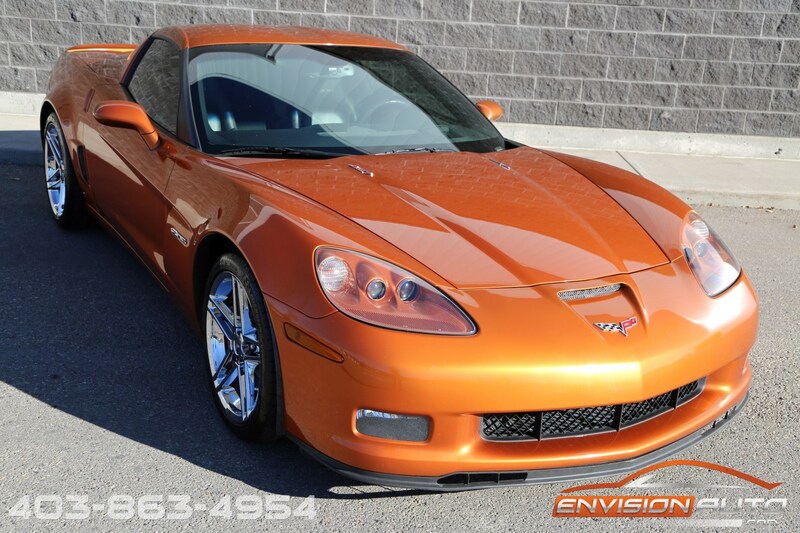 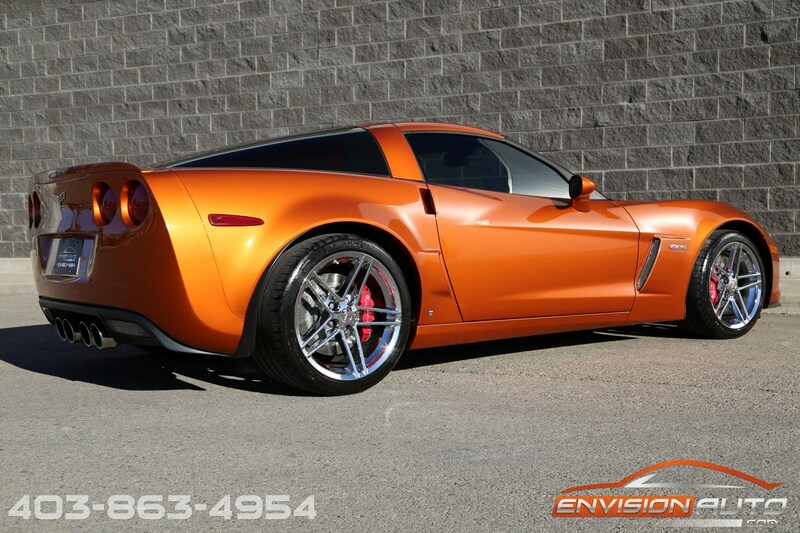 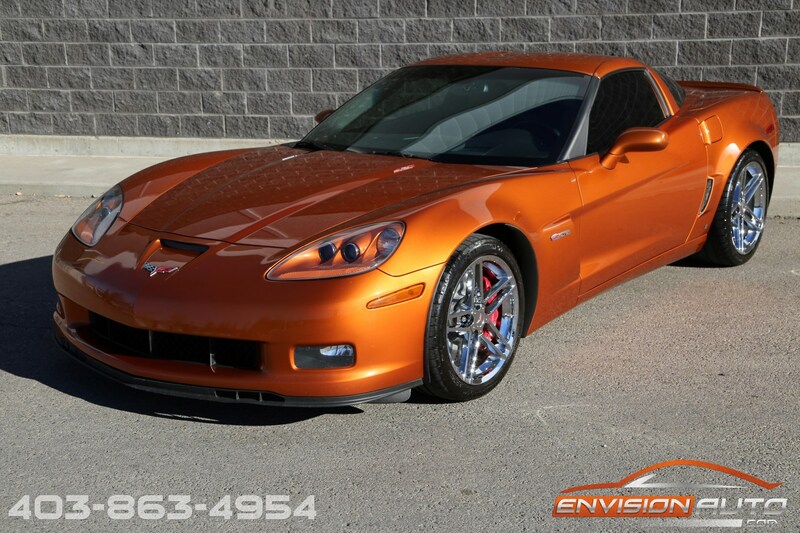 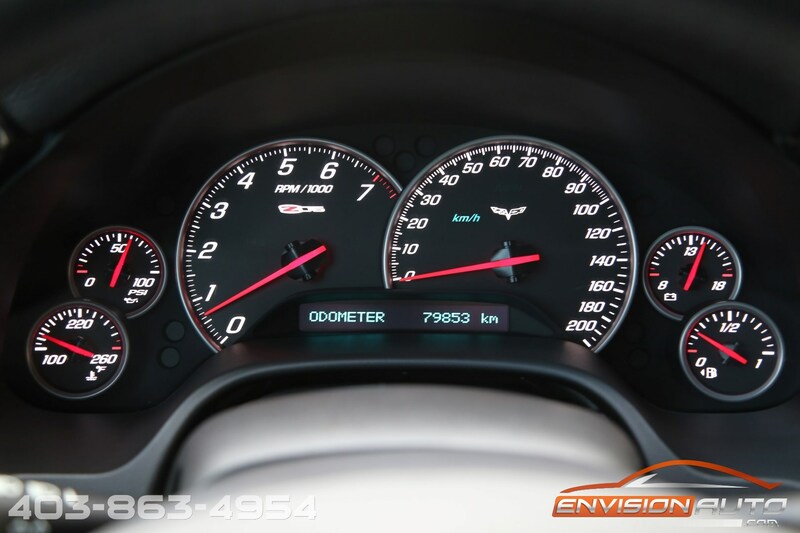 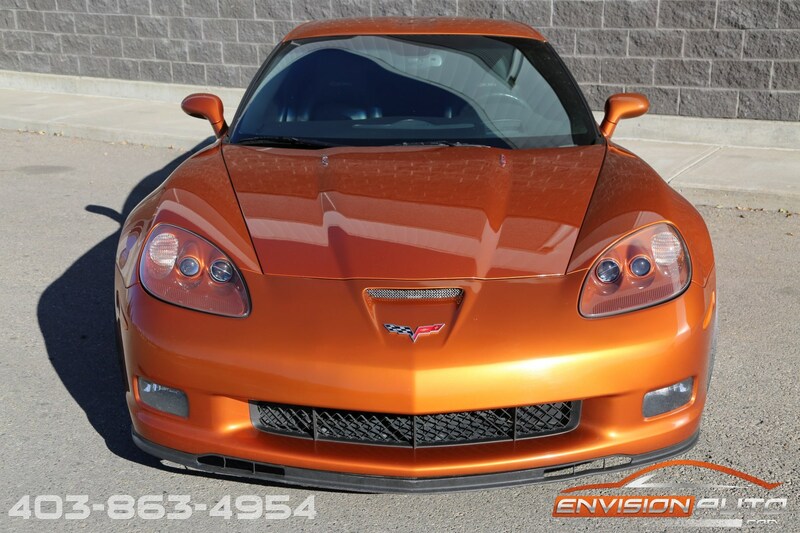 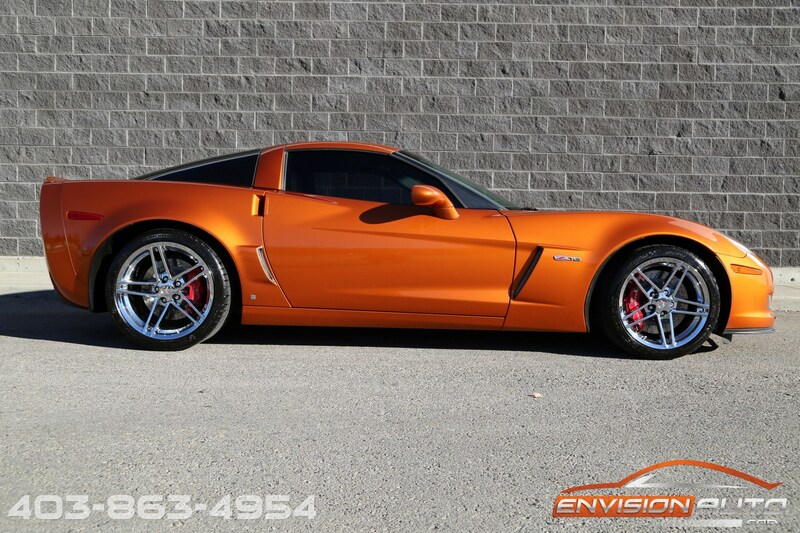 More Details : – ATOMIC ORANGE Z06 \ 7.0L LS7 505HP \ BORLA STINGER EXHAUST \ UNDER 80,000 KILOMETERS \ SPOTLESS CARFAX CANADA HISTORY REPORT! 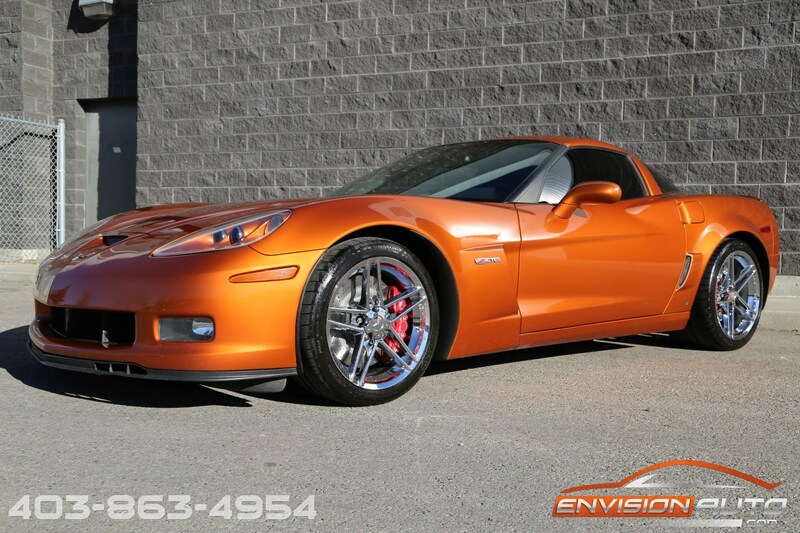 We originally imported this stunning Atomic Orange 2007 Z06 back in May of 2011 with only 25,000 kilometers on the odometer. 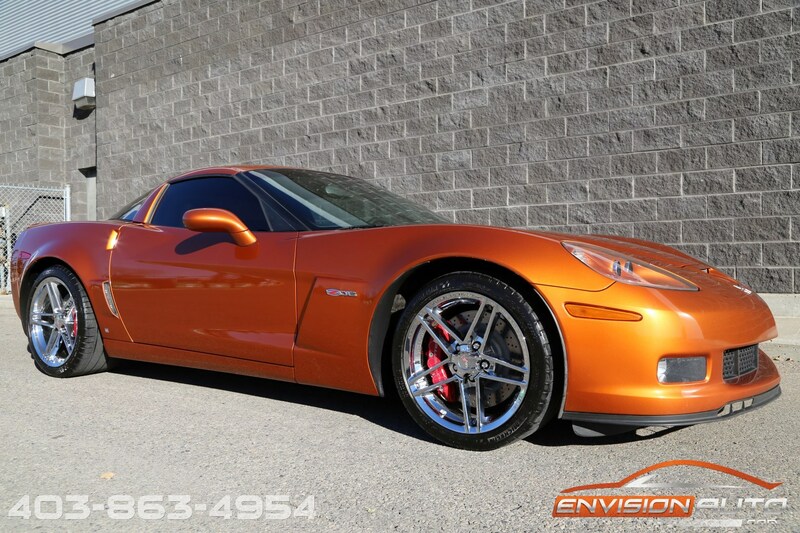 Sold to a local Calgary customer in 2011 it is now back in on trade with just under 80,000 kilometers and is still in every bit of nice as condition as when it was sold 7 years ago!! 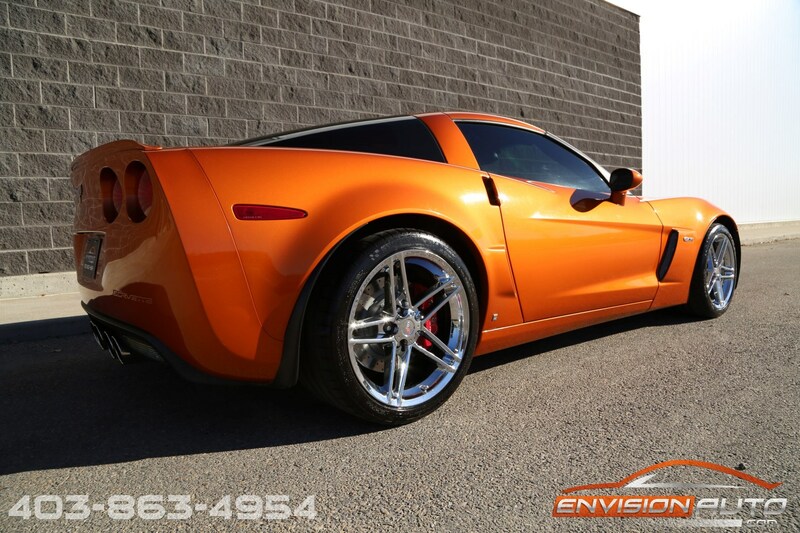 We just put the car through a 200 point independent mechanical inspection and found it still had the original factory brakes on since new so there was only 20% on the fronts and 30% on the rears remaining. 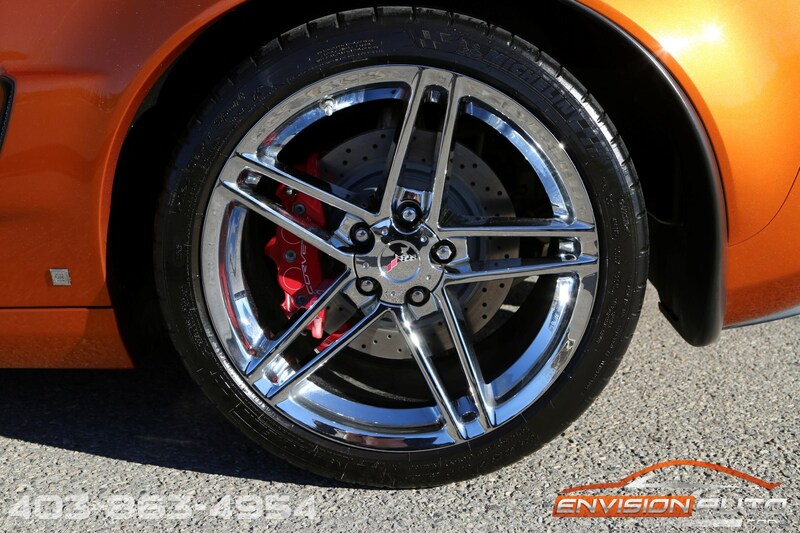 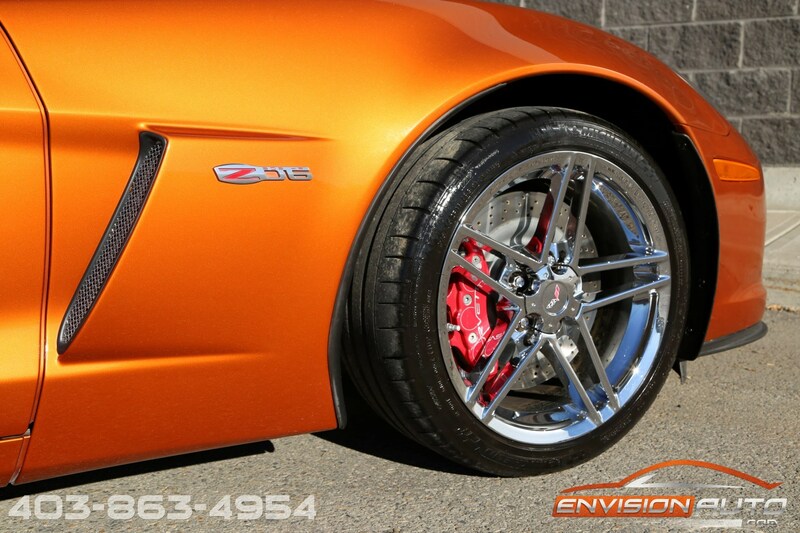 We have installed brand new front and rear OEM GM factory rotors and brand new Hawk Performance ceramic brake pads front and rear in addition doing a fully synthetic Mobil1 oil change. 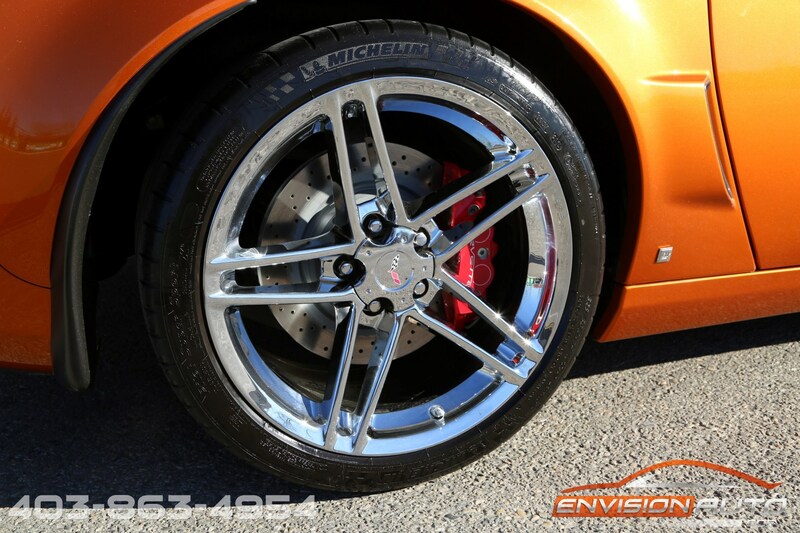 The previous owner just recently installed a new set of Michelin Pilot Super Sport tires with tread still greater than 70% all around and the windshield is free from cracks or major defects. 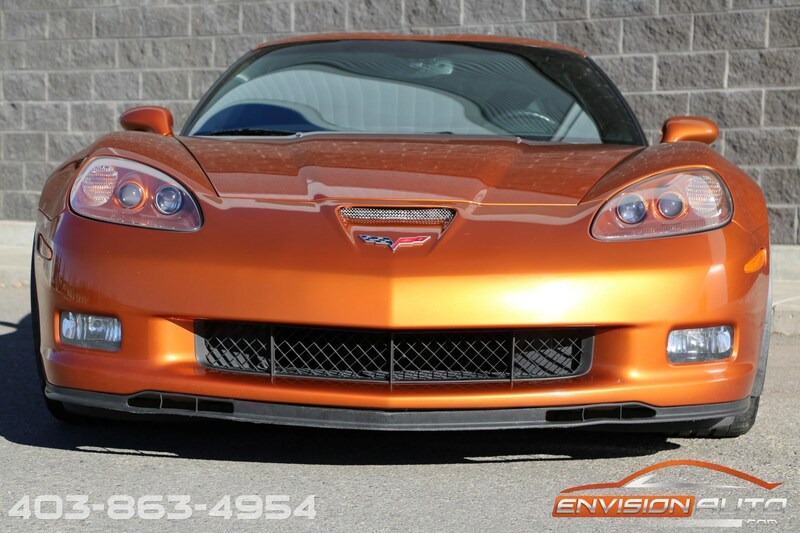 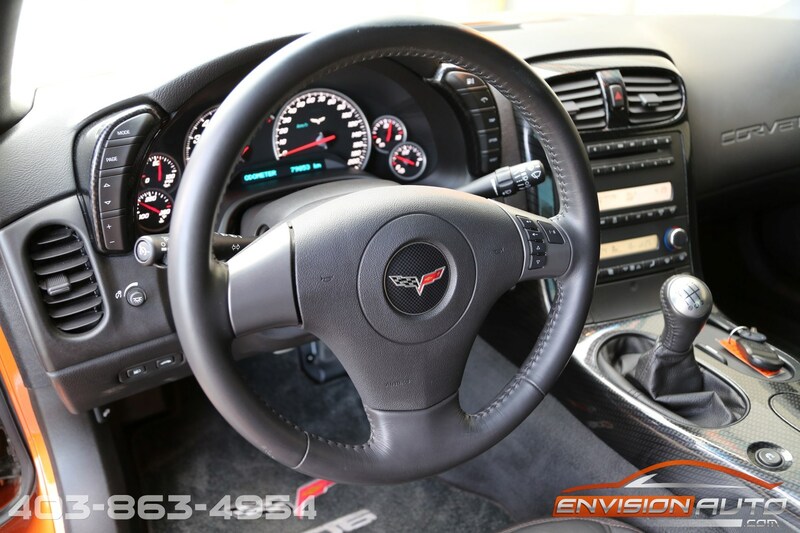 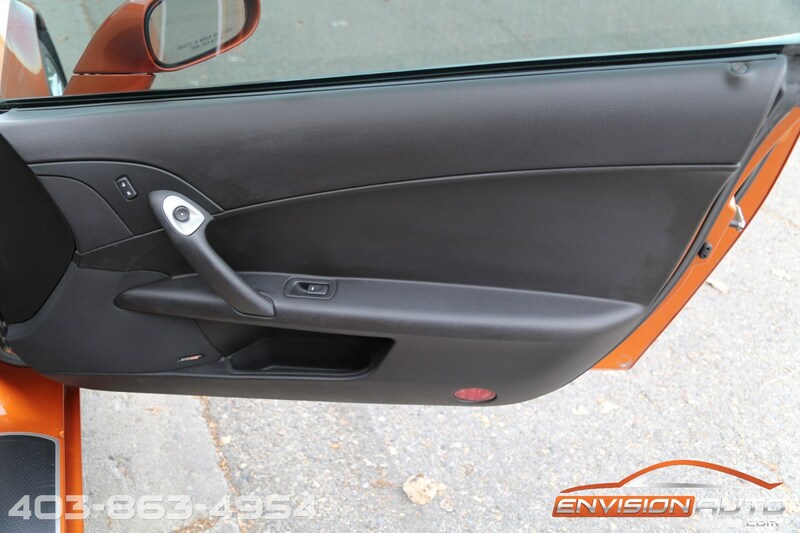 Still having a spotless CARFAX Canada history report with no accidents or insurance claims, this car is an incredible value for someone wanting to get into the Corvette world without breaking the bank! 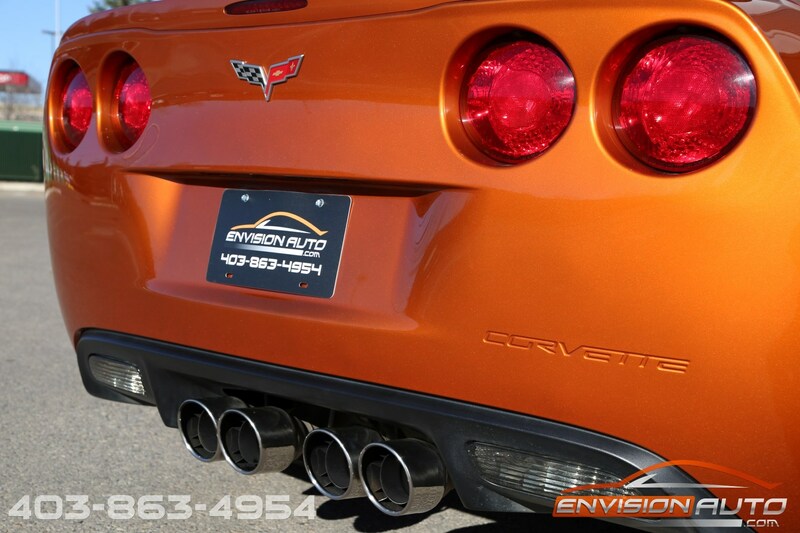 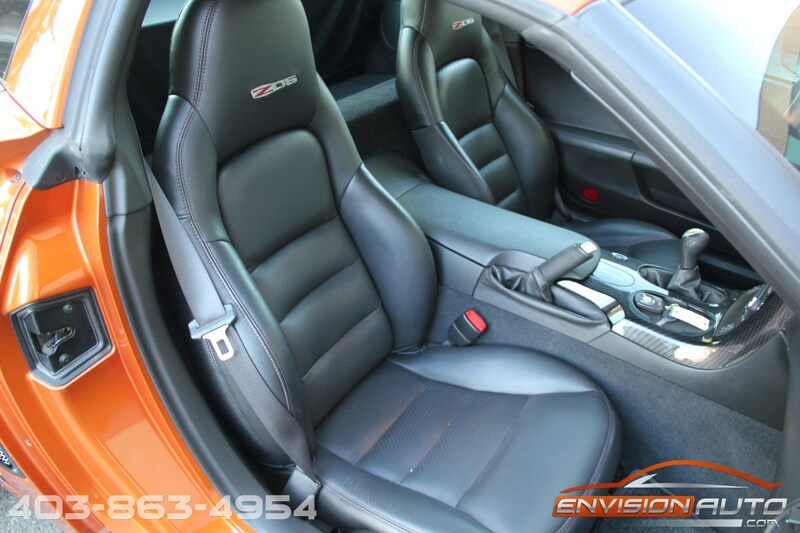 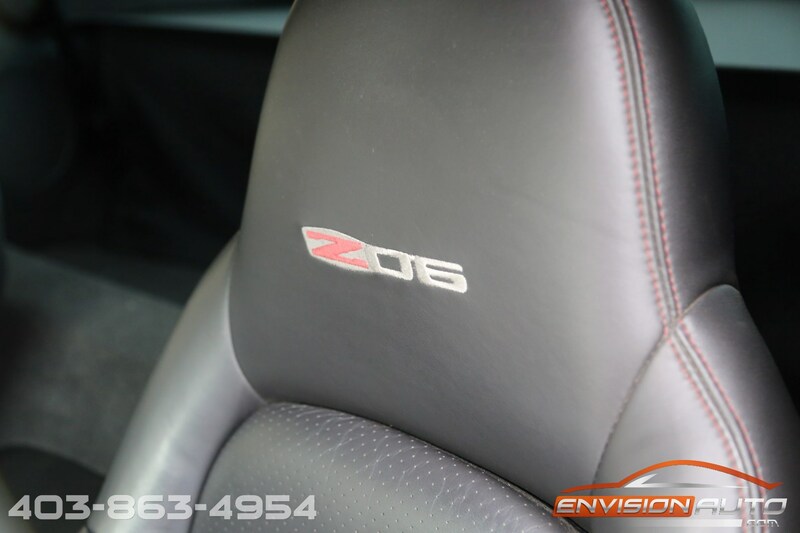 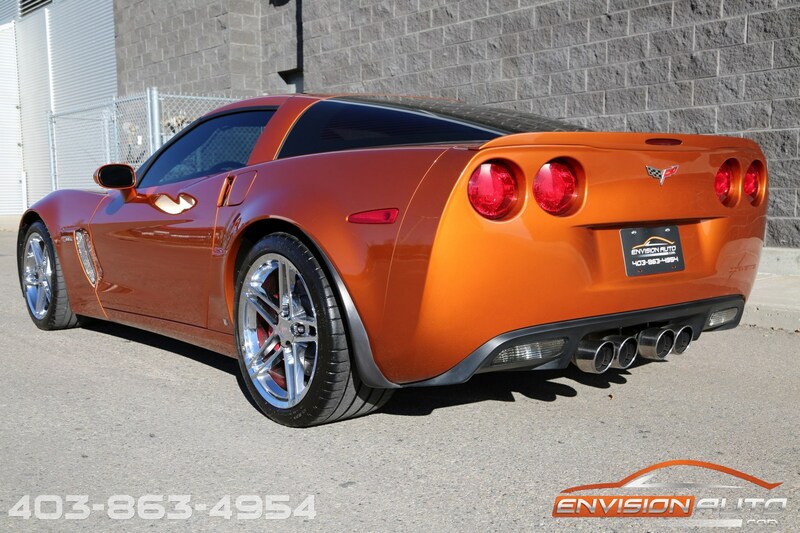 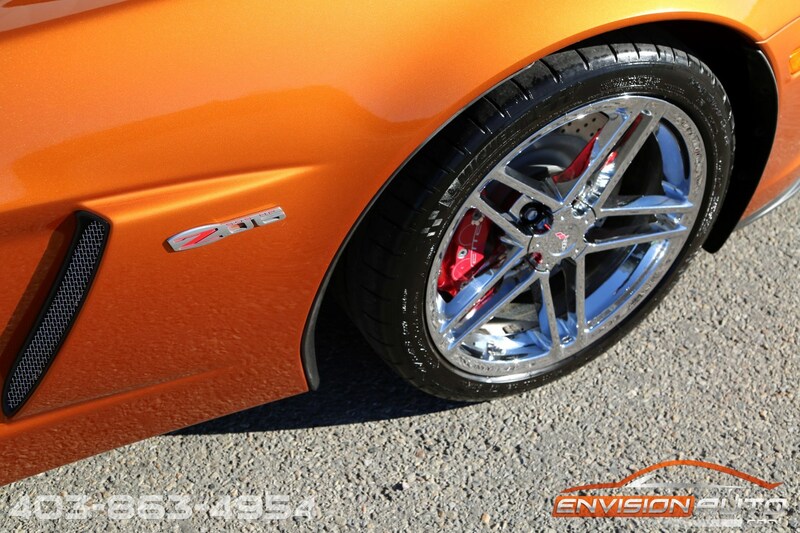 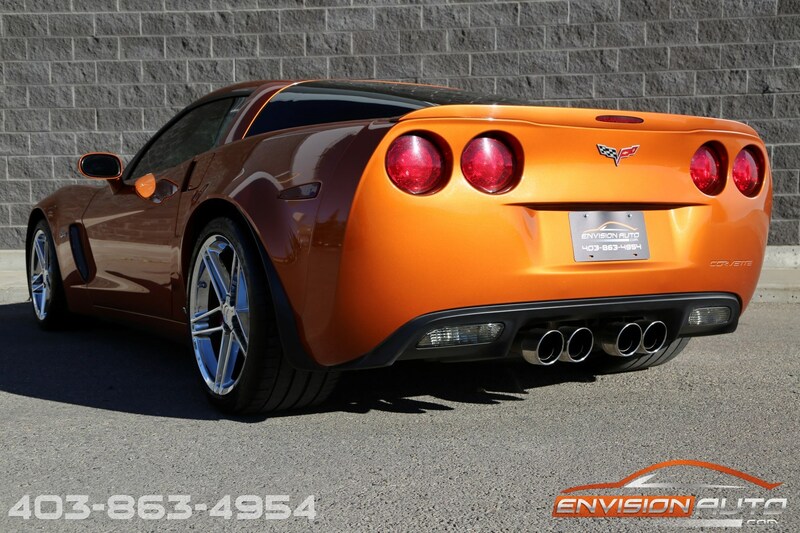 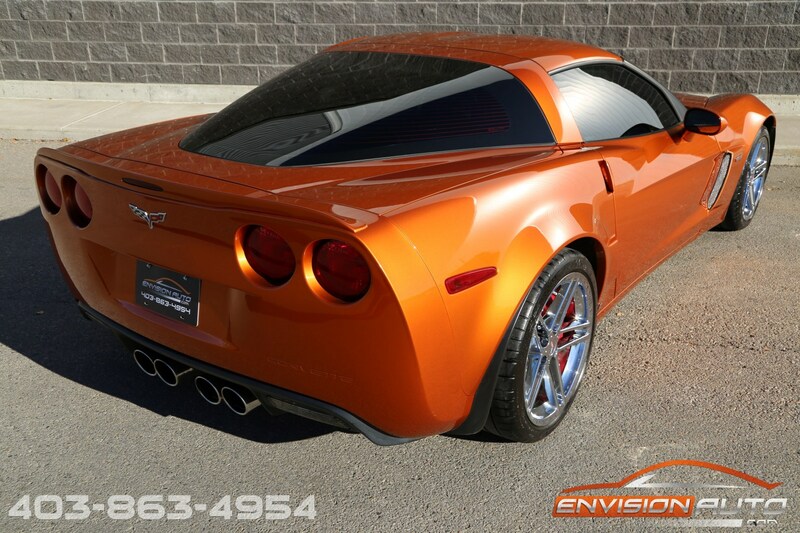 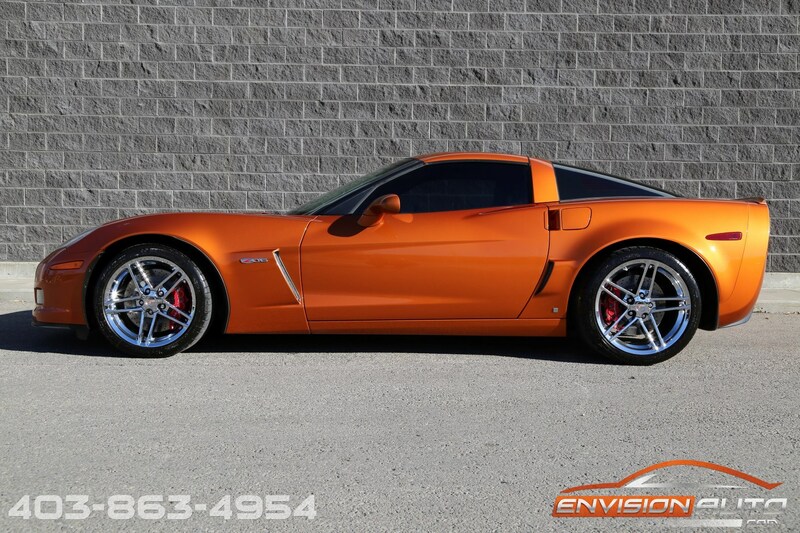 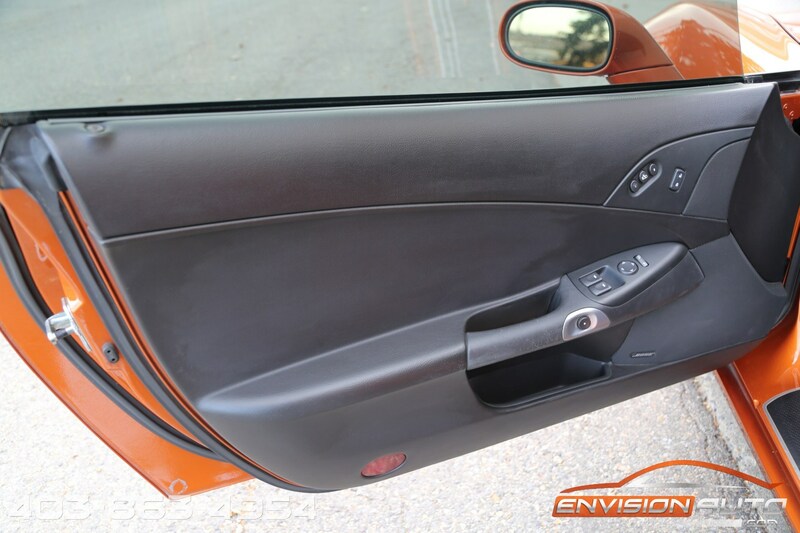 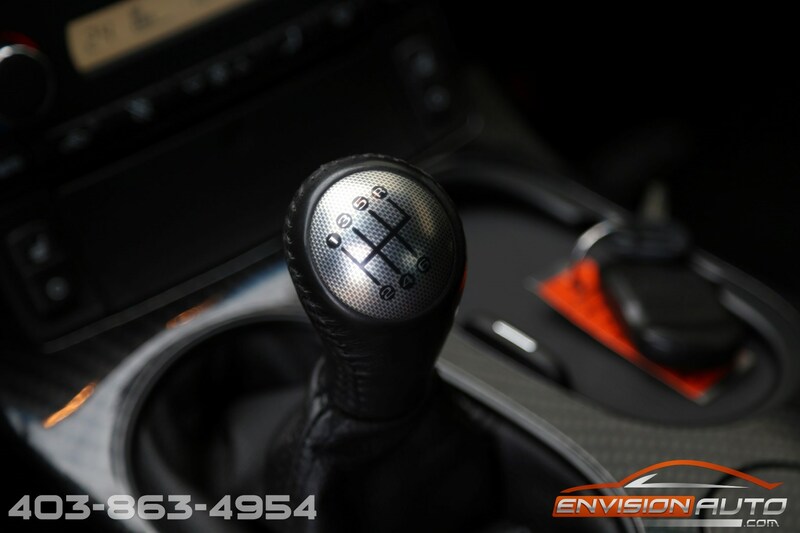 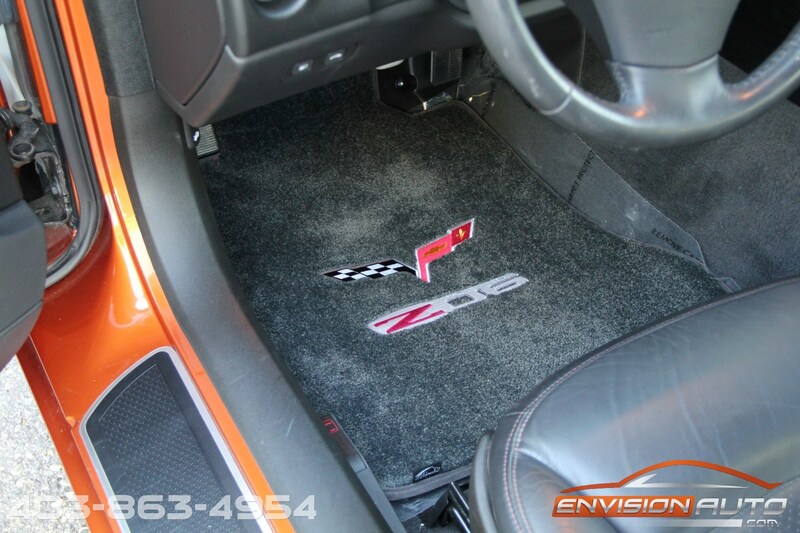 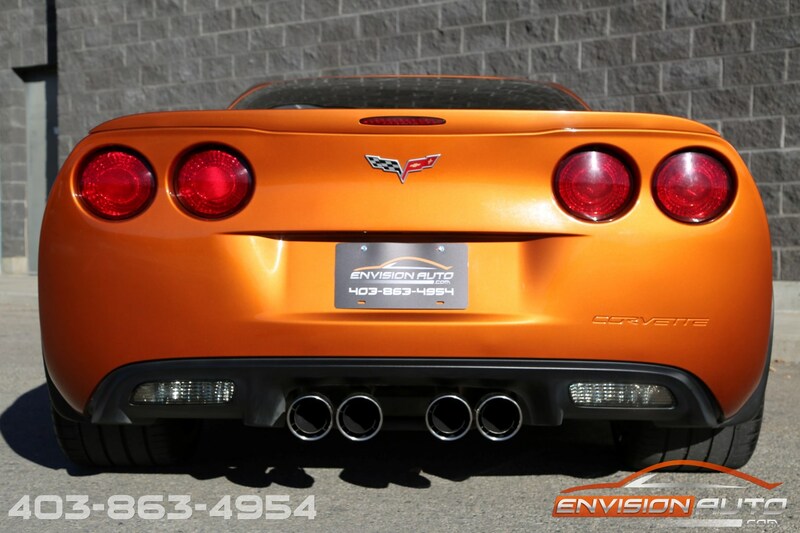 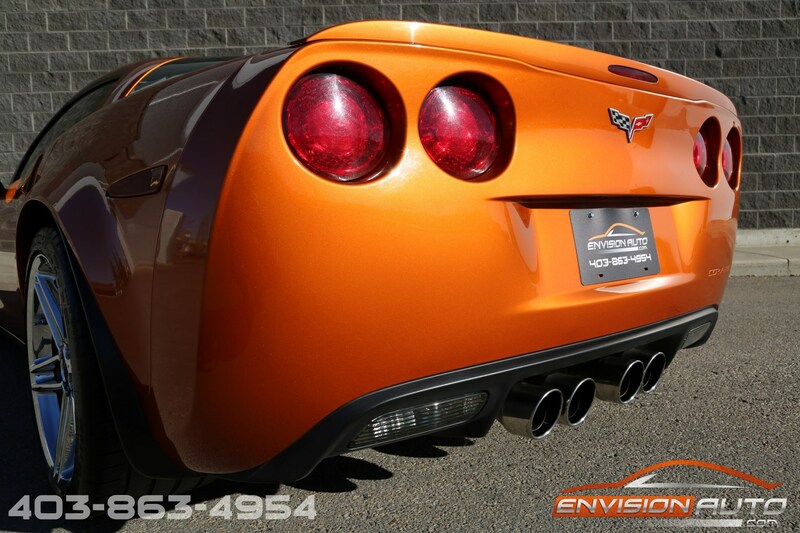 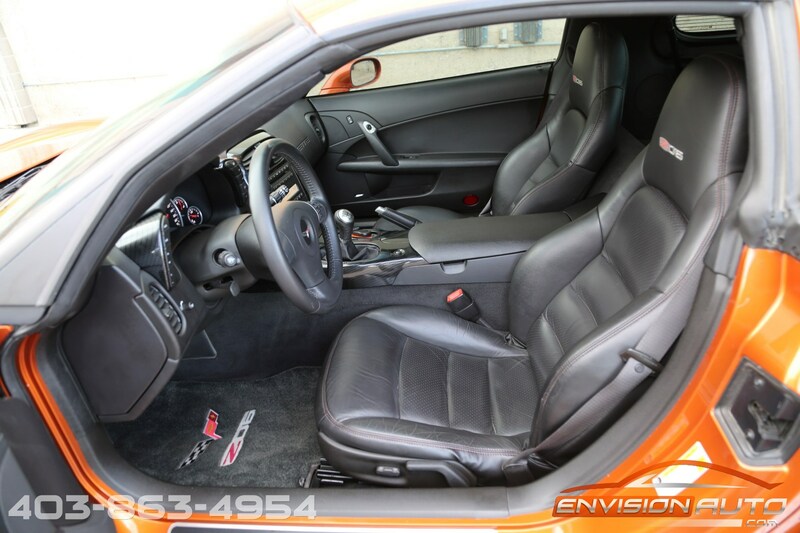 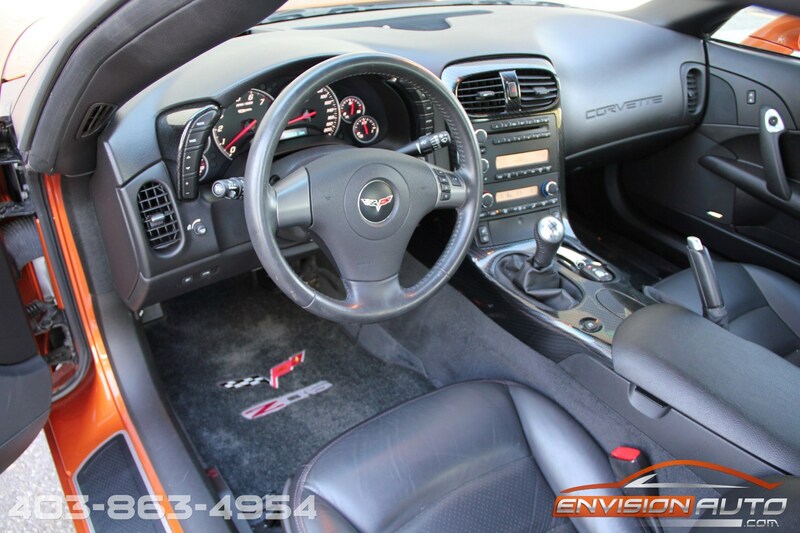 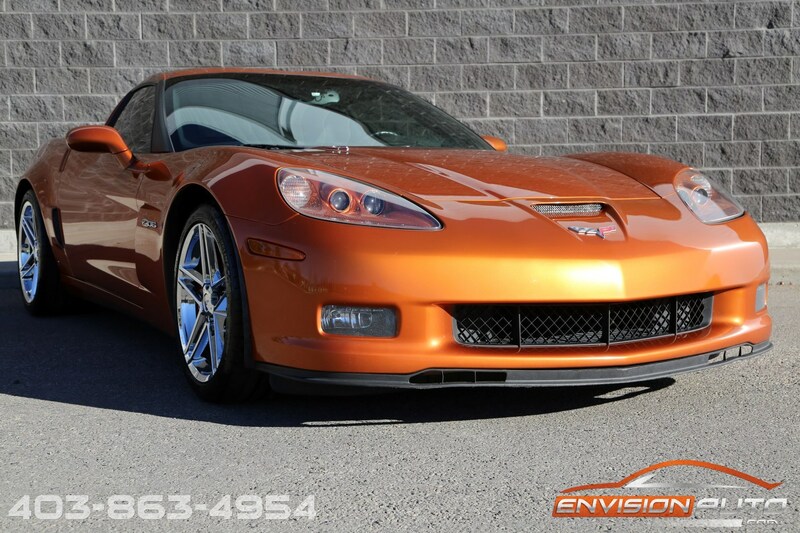 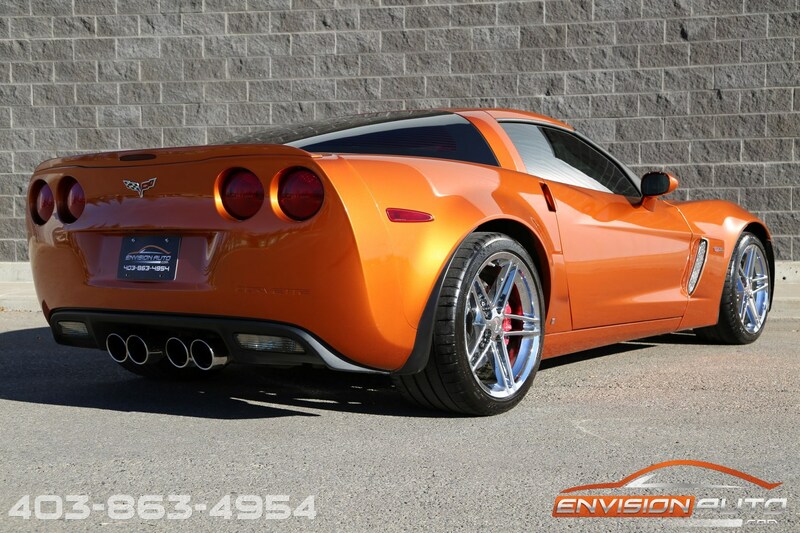 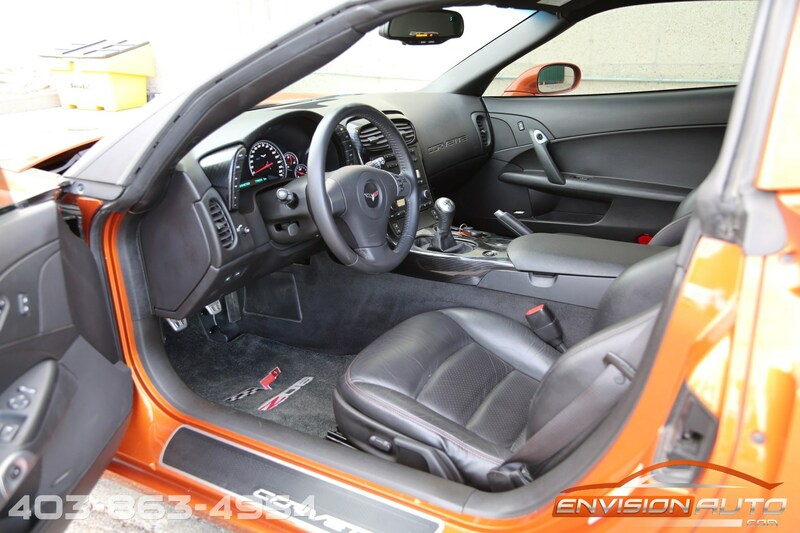 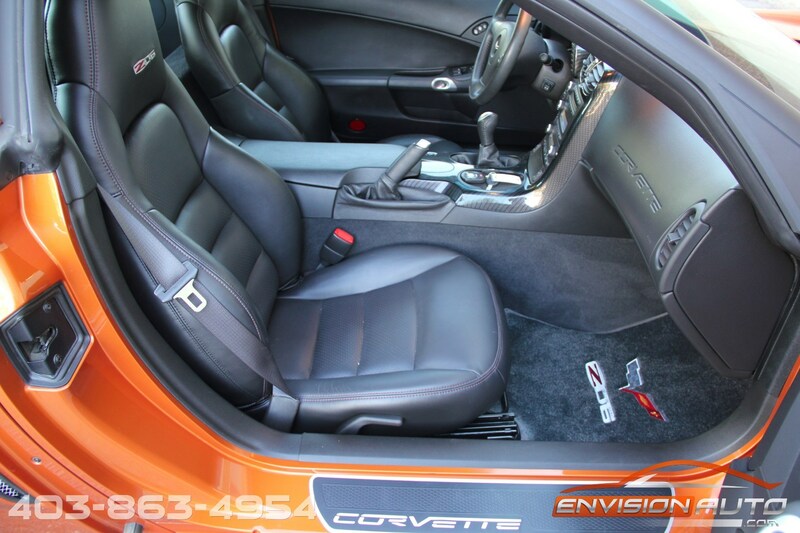 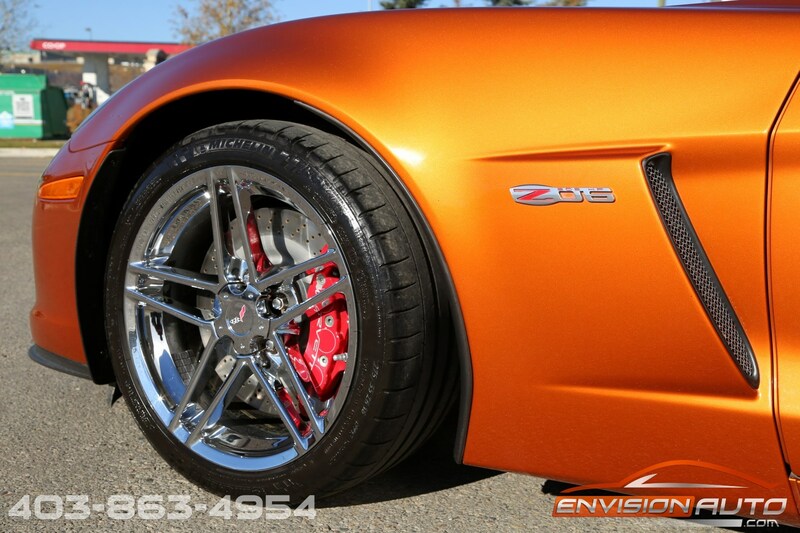 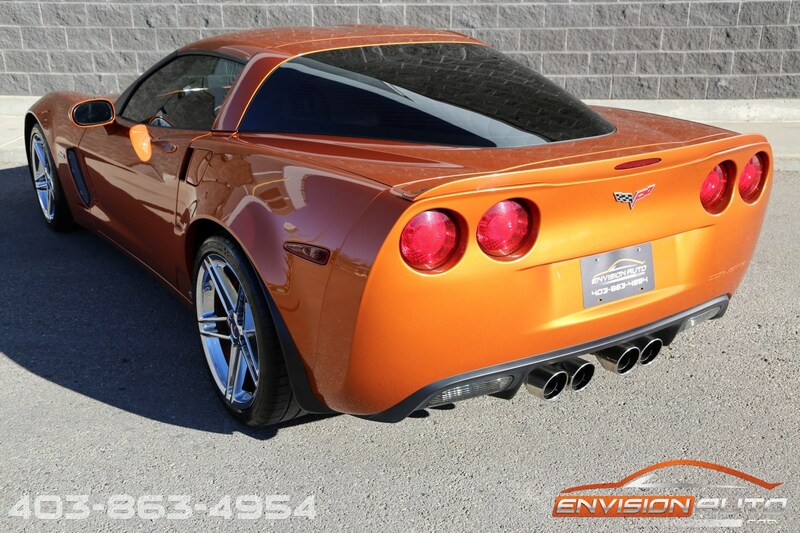 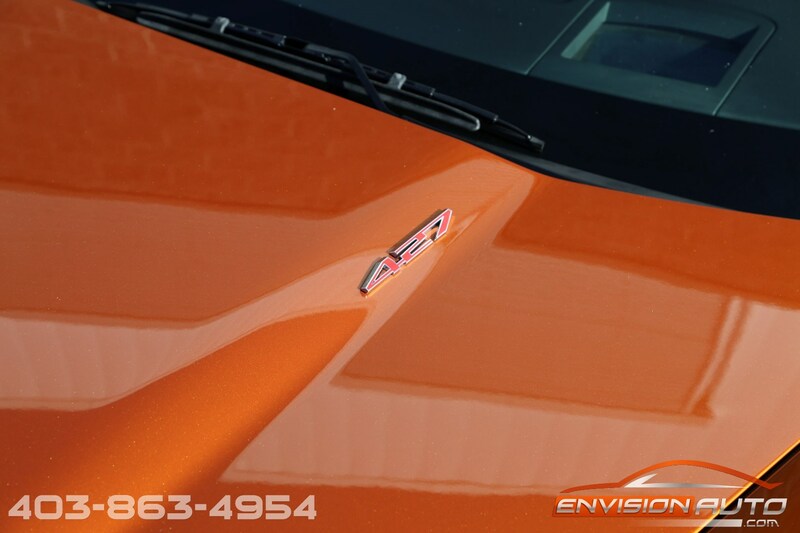 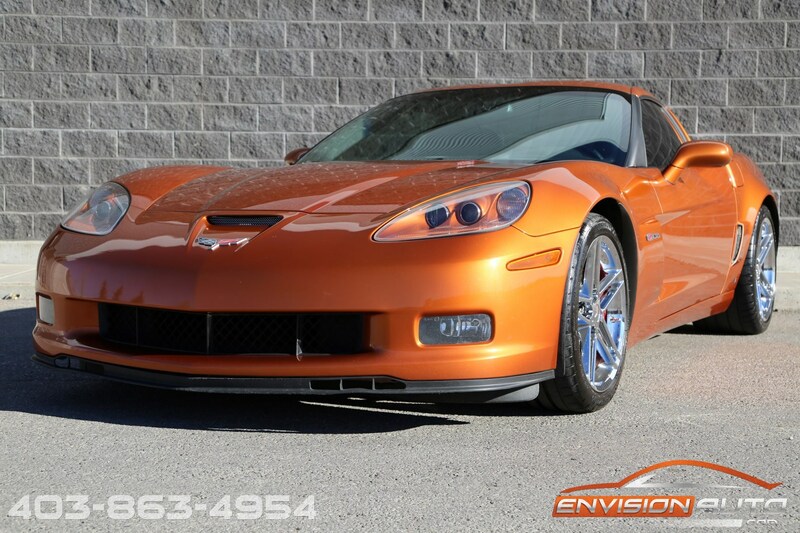 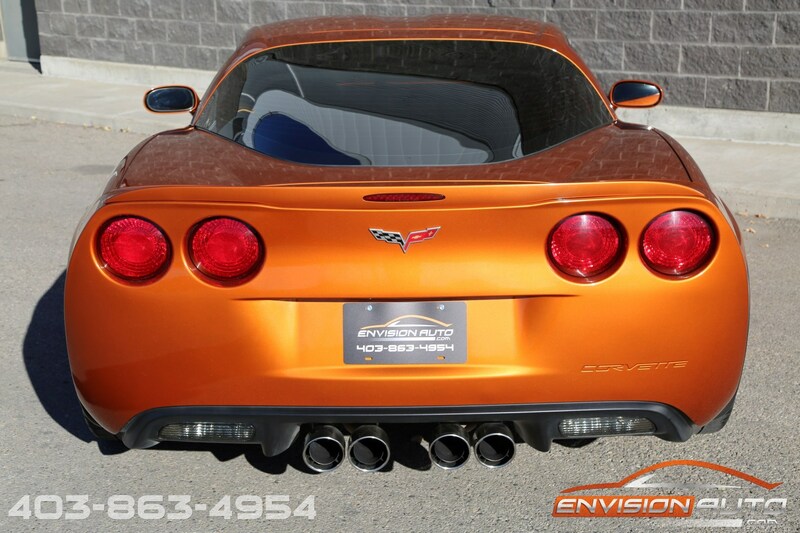 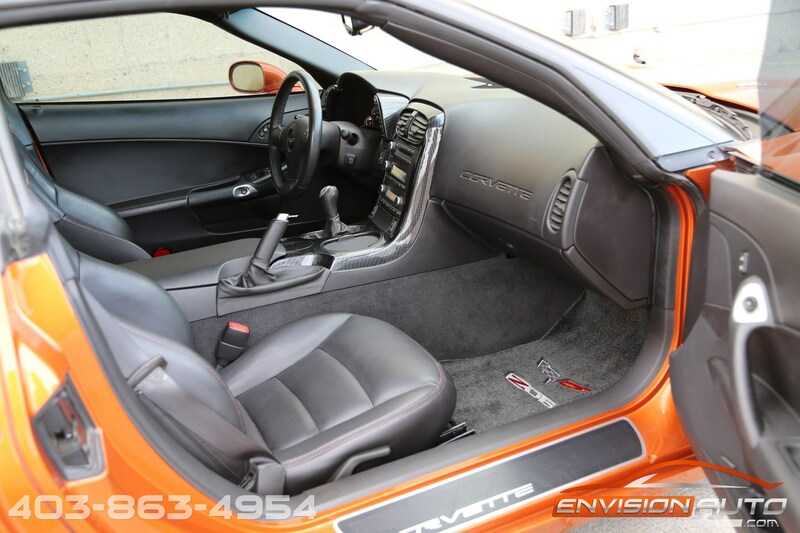 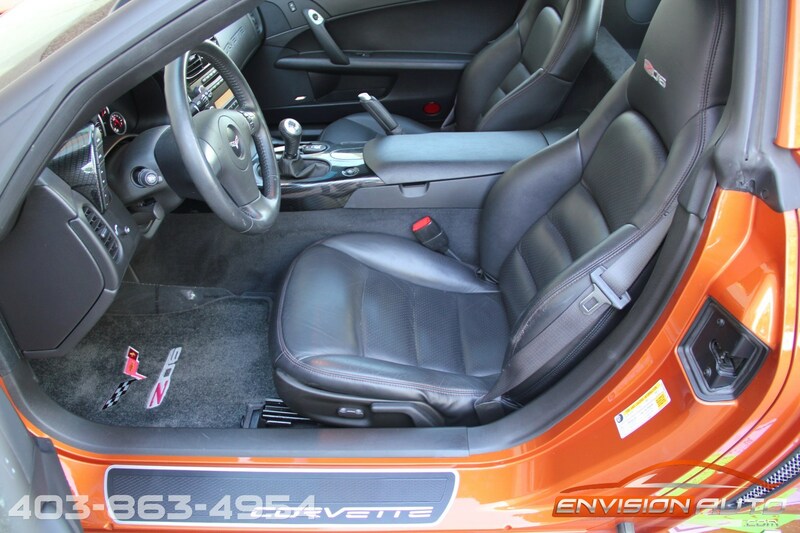 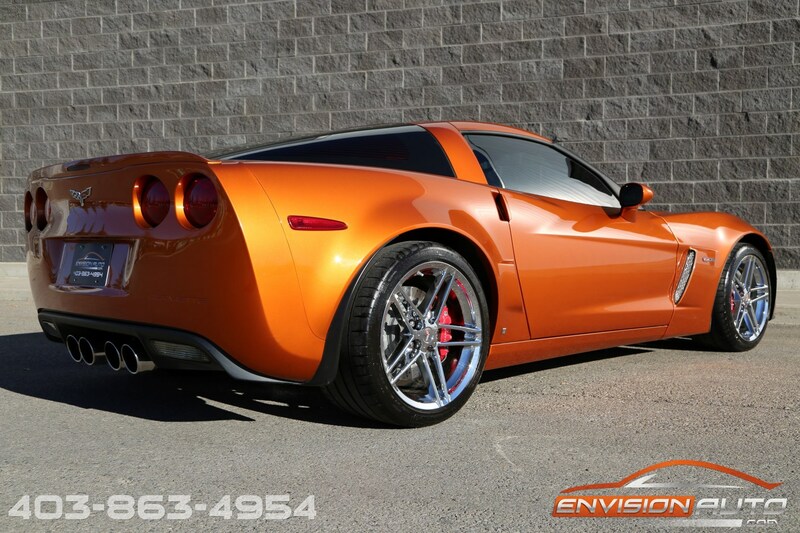 Fully equipped 2LZ 2007 Chevrolet Corvette in stunning and rare Atomic Orange – one of the most sought after colors for the Z06!! 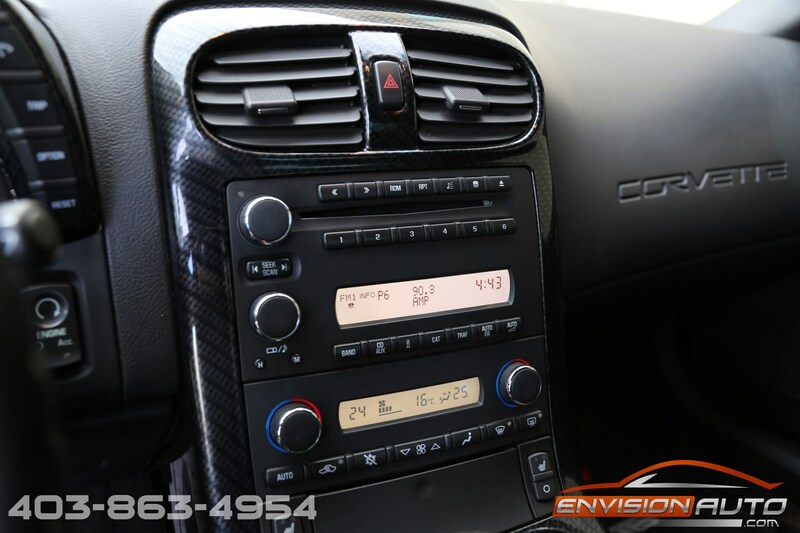 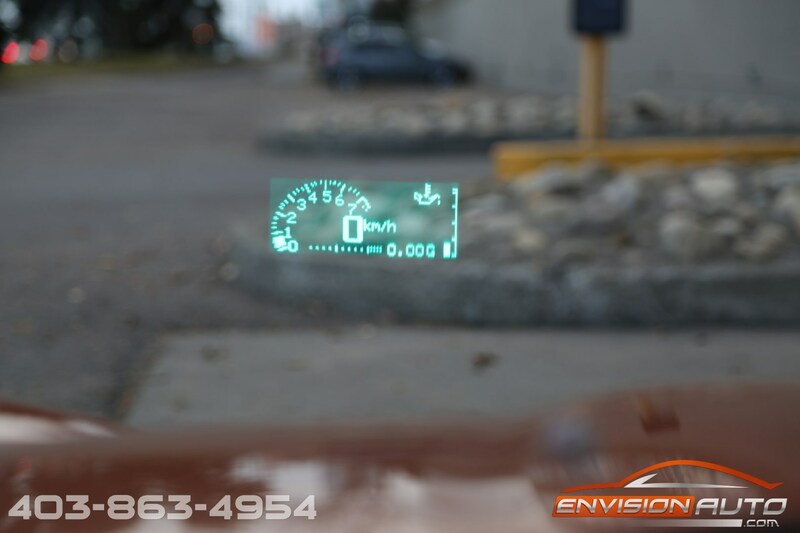 This coupe has all the nice options from the factory including heads up display, heated leather seats, power seats, memory seats, Bose Stereo, Steering Wheel Audio Controls and more! 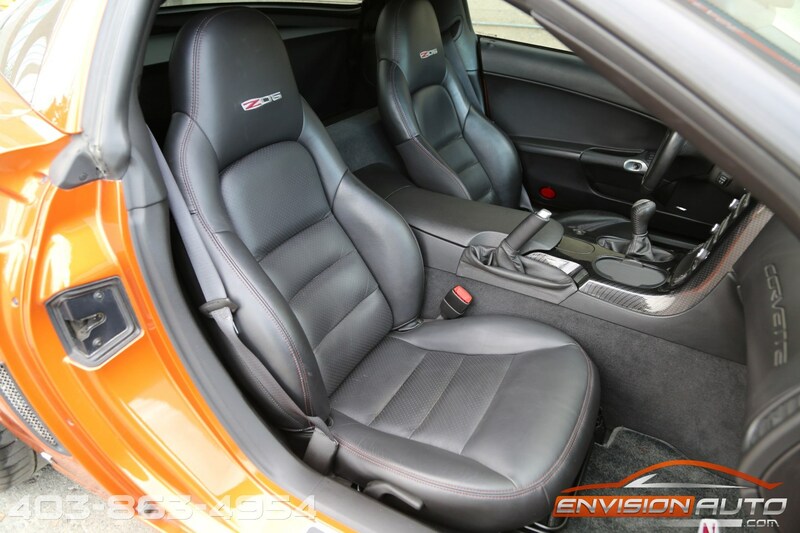 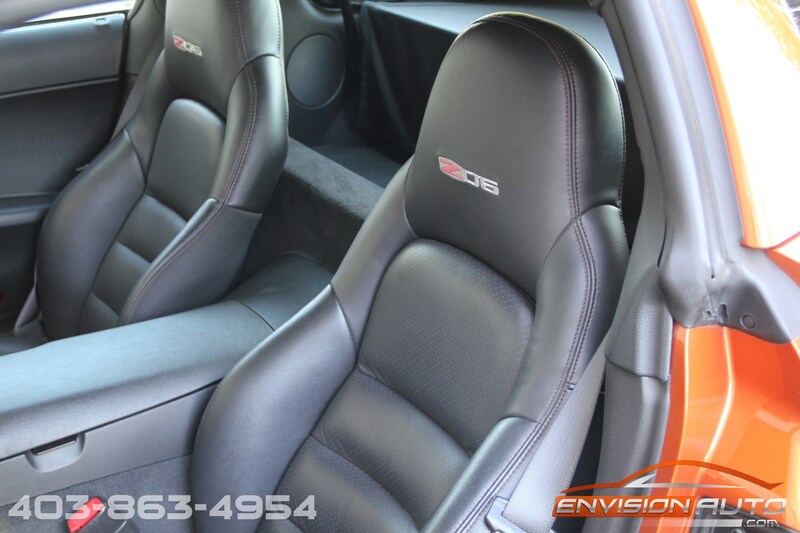 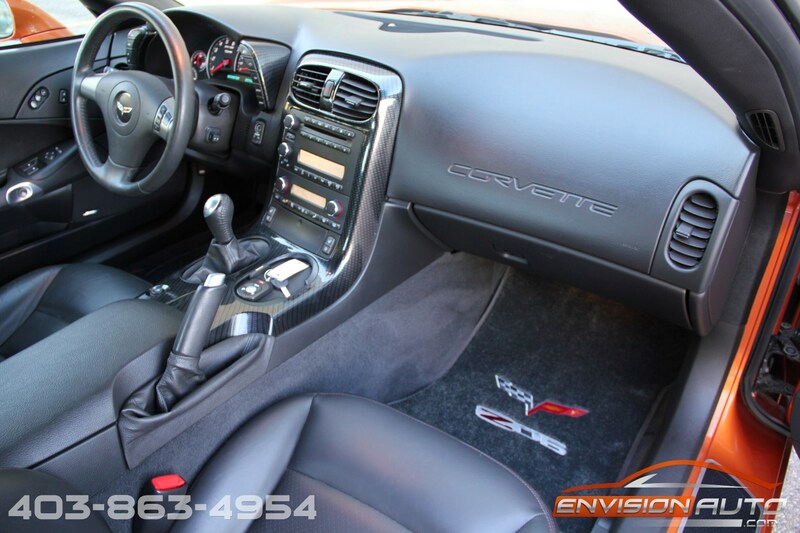 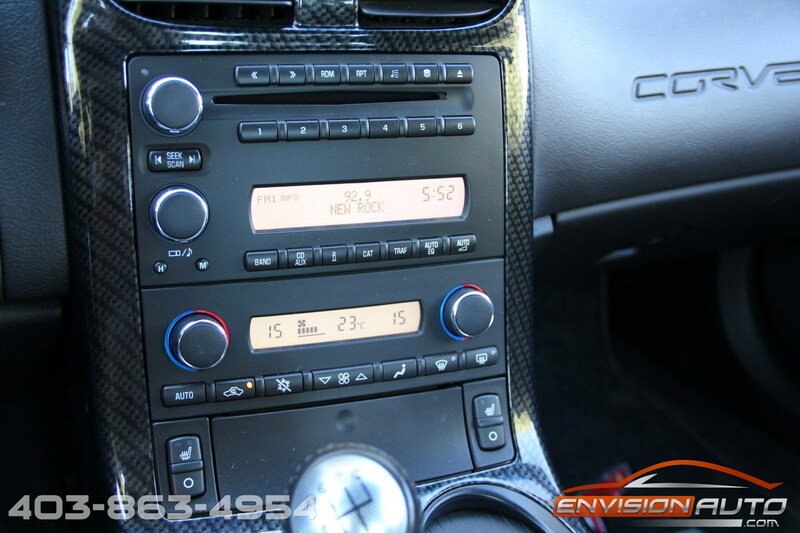 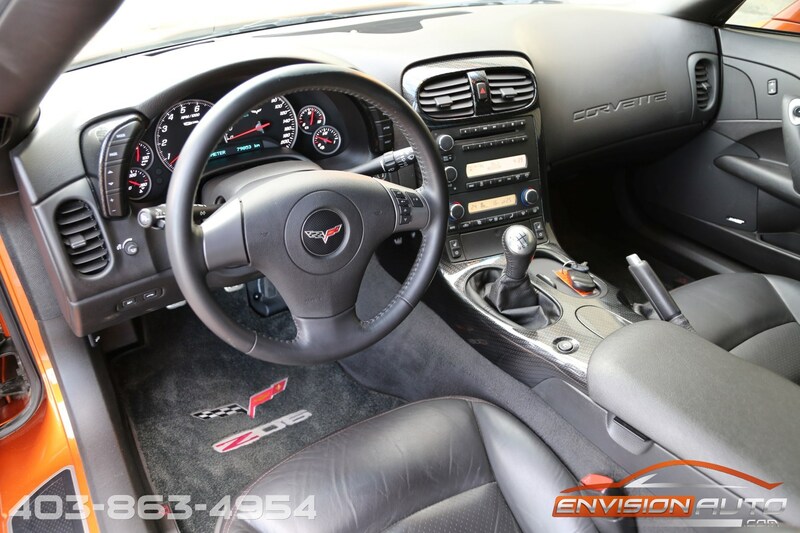 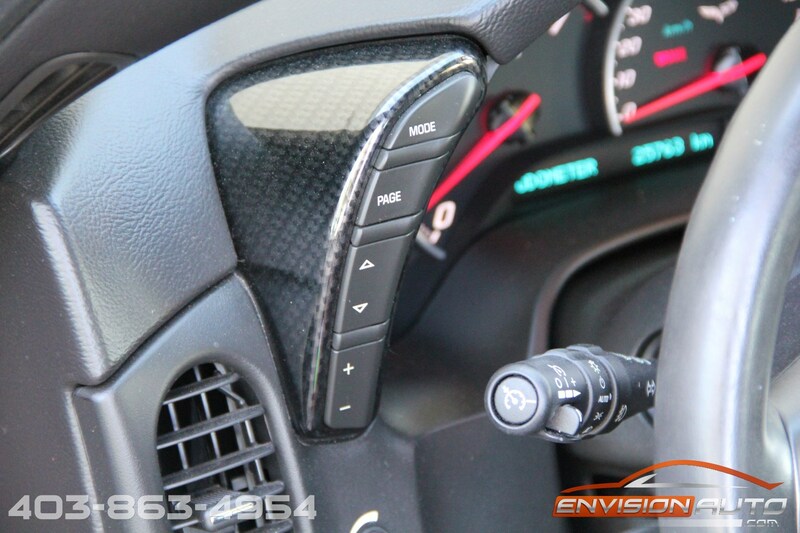 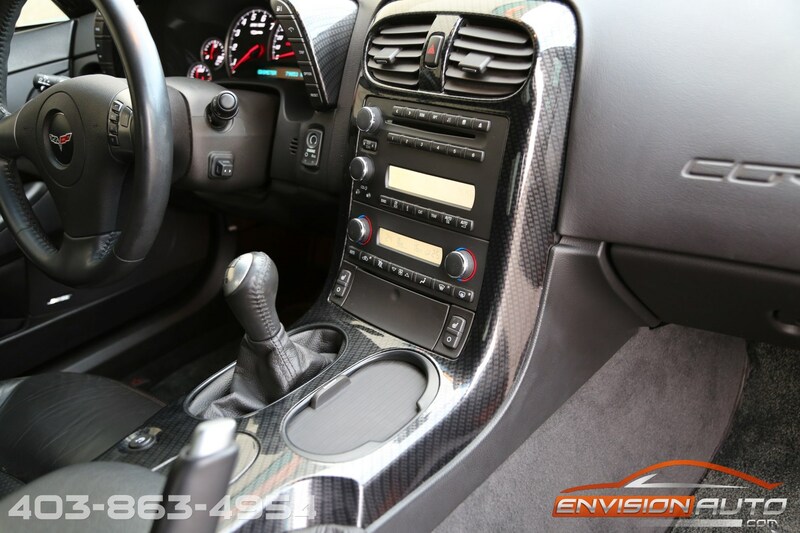 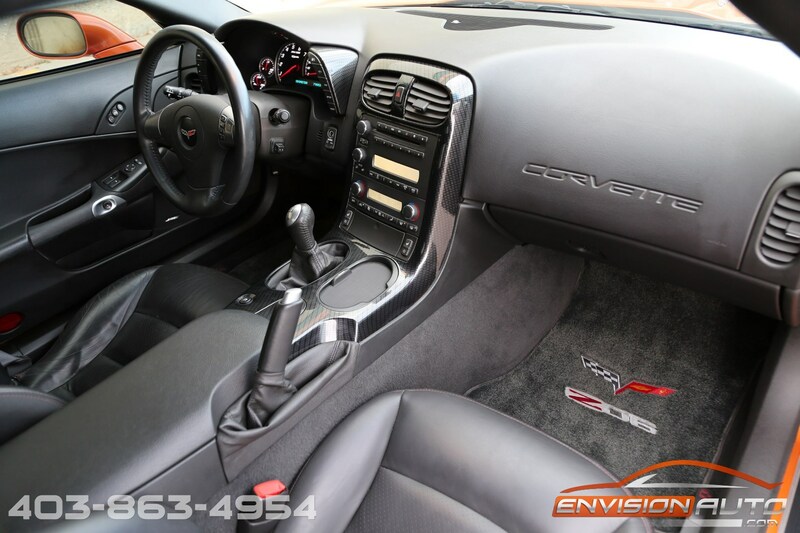 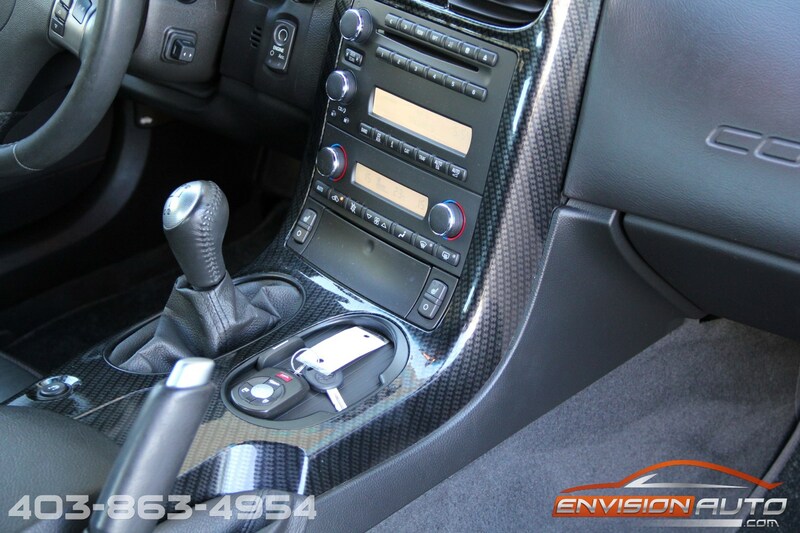 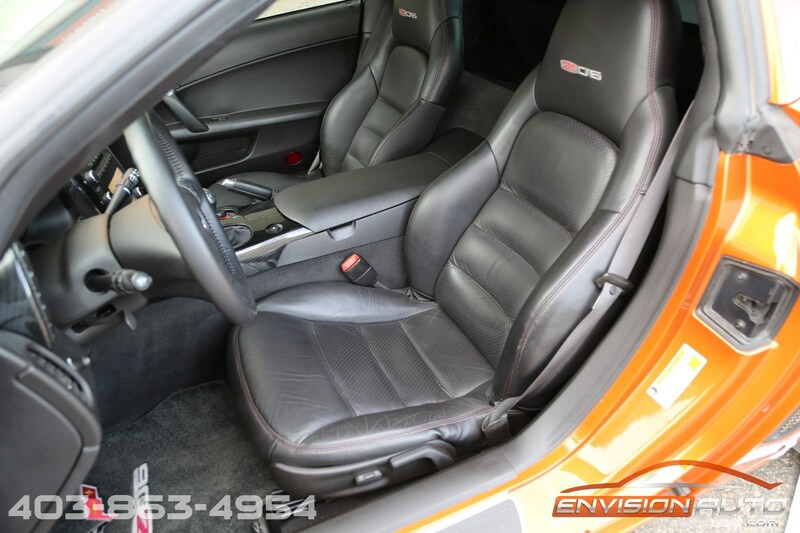 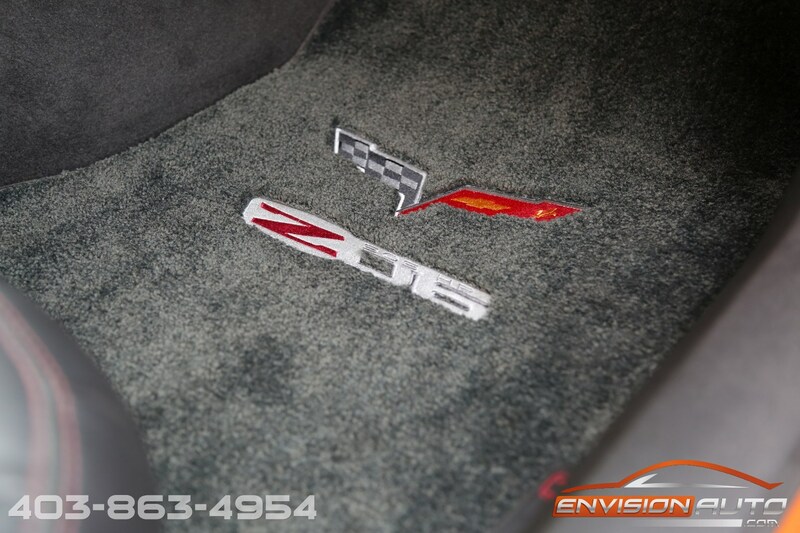 The previous owner tastefully added a select few upgrades including “427” Hood Badging, Carbon Fiber Dash and Console Surround, and Borla Stinger Exhaust for the right amount of rumble. 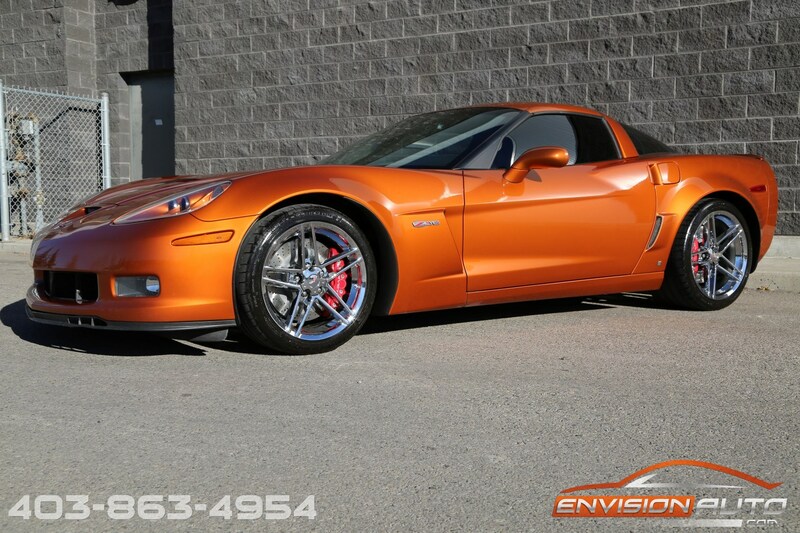 Non-smoker owned, No Accident History, and ready to hit the roads – located in Calgary and ready for retail today!